Did you know that 50% of projects fail EMI/EMC testing the first time? Intertek Testing Services reports that roughly half of products fail the initial EMC test due to a failure to apply EMC principles, lack of EMC/EMI knowledge, incorrect applications of EMC regulations, unpredicted interactions among circuit elements, or incorporation of non-compliant modules or subassemblies into the final product. Performing pre-compliance testing greatly improves the probability of a successful first pass of full EMI compliance testing, saving you time and thousands of dollars. Companies designing products for medical, automotive, military and even multimedia applications, can benefit from investing in a pre-compliance test setup. This page discusses how adding pre-compliance testing to your product development process can accelerate product development and reduce project costs. Good EMC design techniques are not too difficult to implement if they are introduced at the earliest stages of design. If modifications need to be made later in the design to meet EMC requirements, it becomes much harder. A typical radiated test set-up with a Tektronix RSA500 USB spectrum analyzer. EMI/EMC pre-compliance testing doesn’t have to be hard or excessively time consuming. 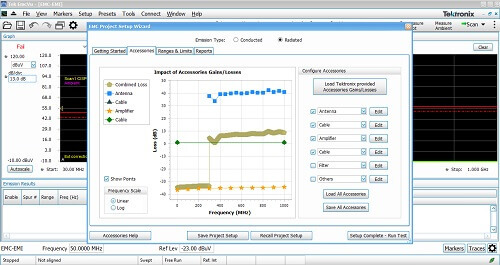 Based on customer feedback, Tektronix developed next-generation software with ease of use and functionality in mind, to provide pre-compliance testing for radiated and conducted measurements. Setting up EMI/EMC pre-compliance testing starts with SignalVu-PC. This latest version of SignalVu-PC now comes with an additional option called EMCVu. EMCVu features an easy-to-use setup wizard, built-in standards and accessory setup with push-button selection capabilities. Whether you are setting up an Open-Air Test Site (OATS), or testing in your lab, EMCVu streamlines the capture and removal of ambient noise from your measurements to increase the accuracy of your pre-compliance tests without an anechoic chamber. To learn more about using EMCVu with real time spectrum analyzers and accessories to perform pre-compliance tests for radiated and conducted emissions, download the application note here. If you’re interested in trying a free 30-day trial of EMCVu, please click on the button below. Before you invest the time and money in final product certification testing, you want confidence that your device is ready to go to the test house. When you run into a problem, you want the right tools that allow you to focus on problem areas quickly, identify the cause and take steps to remediate without incurring costly delays. To efficiently debug, look for a solution that lets you quickly identify areas of concern and provides the level of signal insight that captures intermittent offenders. This is delivered by a combination of hardware and software. Quasi-Peak detector which lets you bypass non-failures and zero in on frequencies of interest. Harmonic Check which allows you to test only specific harmonics and find where those emissions come from on a board using a near field probe. Harmonic Markers which enables finding emissions at harmonics of a known frequency. Multiple Traces allowing you to compare the Device Under Test (DUT) to Ambient Noise, previous iterations of a Device, etc. Automated or manual multi-failure re-measurement, allowing you to determine if a failure is intermittent or reoccurring. Report multiple measurements in multiple formats in the same user configurable report. The ability to capture transient and intermittent signals. The ability to debug multiple sources at the same frequency. Instantaneous feedback – traditional swept spectrum analyzers sweeps can take longer and result in failure in capturing important signals. To learn more on how to use our Real-Time Spectrum Analyzers for emissions pre-compliance testing on our blog here. Additional information on troubleshooting techniques are available in the “Practical EMI Troubleshooting” application note that you can download by clicking on the button below. Tektronix’ EMCVu pre-compliance software supports EMC standards including CISPR, FCC and MIL-STD for many types of devices. To automate testing, EMCVu provides a built-in standards table allowing you to choose the applicable standard for your product and the region it will be sold in. EMCVu also allows you to configure standards not included with the ability to set frequency ranges or limit line tables for your chosen standard. 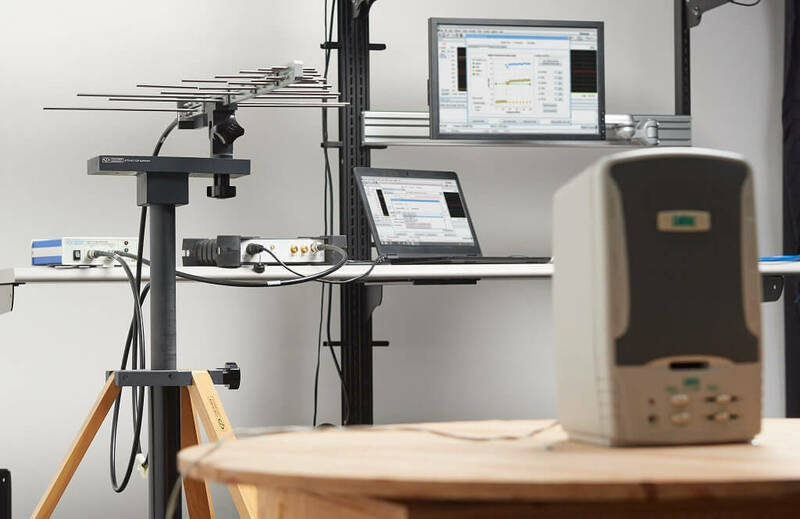 To affordably speed you on your way, Tektronix offers a complete EMI/EMC pre-compliance testing solution including software, spectrum analyzers, accessories and probes. Tektronix EMI/EMC pre-compliance solution starts with SignalVu-PC with EMCVu software. As a plug-in to SignalVu-PC, EMCVu provides a single user interface for all your pre-compliance needs. 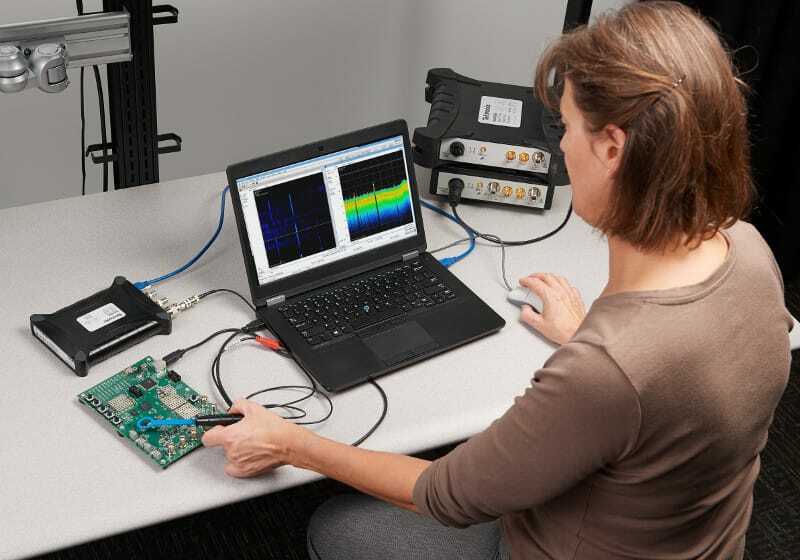 To provide fast, accurate measurements to assist you in finding EMI/EMC issues quickly, Tektronix offers a full line of affordable Real-Time Spectrum Analyzers. Real-Time Spectrum analyzers provide significant advantages over traditional swept enabling you to capture infrequent EMI bursts. To avoid accessory mismatch, Tektronix offers fully validated accessories including antennas, Line Impedance Stabilization Networks and pre-amplifiers. You can purchase accessories individually, or in two comprehensive accessory bundles for conducted and radiated tests. Characterization of accessories including Gains and Losses values are pre-loaded into EMCVu to provide simple set-up and greater accuracy in your measurements. Engineers now have a fast, easy, accurate and affordable way to determine if your new product designs are ready to submit to the test house. This video covers new EMCVu features, including: push button support for multiple standards, automated multiple measurement/multiple format reporting, ambient noise calibration and comparison, harmonic markers and faster scans using peak detector and spot measurements with quasi-peak and average detector failures. This application note describes how you can use a general-purpose spectrum analyzer to perform EMI pre-compliance checks for radiated emissions and conducted emissions, to help identify major issues before sending your design to a compliance lab. In this video we compare EMI compliance results obtained using a full Compliance Receiver set-up versus a low-cost approach using a Tektronix RSA Spectrum Analyzer. You’ll see how these results correlate for unintentional radiator emissions tests and a CISPR 11 EMI conducted emissions tests in and out of the EMI chamber. Performing a pre-compliance test using the RSA Spectrum Analyzer series can assist you in detecting problems that you can address prior to a compliance test, saving you time and money by ensuring you pass expensive compliance tests the first time. Tektronix EMI/EMC pre-compliance solution starts with SignalVu-PC with EMCVu software. EMCVu provides a single user interface for all your pre-compliance needs. Simply purchase the EMCVu software license to unlock EMCVu capabilities within SignalVu-PC. Tektronix offers a full line of Real-Time Spectrum Analyzers from the affordable RSA306B to the high performance RSA5000 Series. 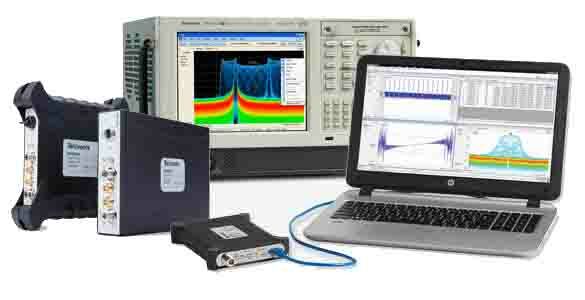 All Tektronix spectrum analyzers include SignalVu software for comprehensive spectrum analysis. 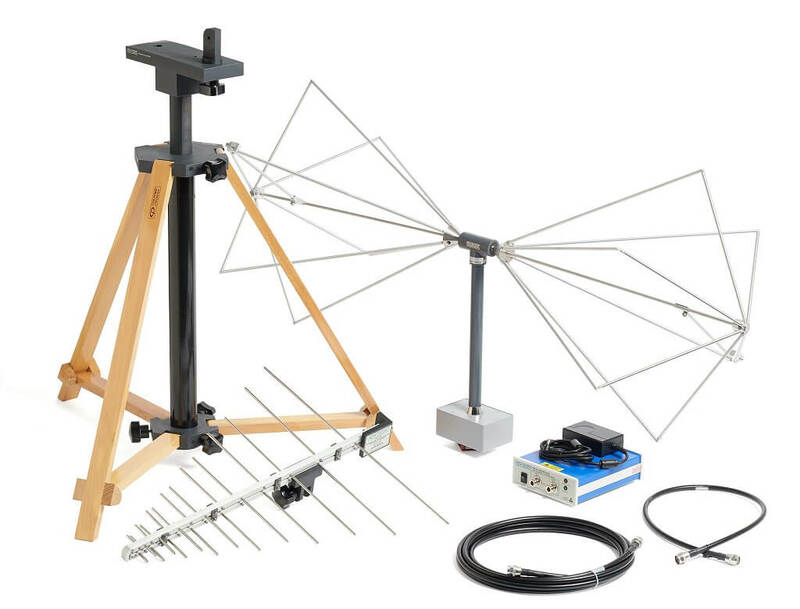 Tektronix offers a complete set of validated accessories including antennas, Line Impedance Stabilization Networks and pre-amplifiers available in bundles or separately for conducted and radiated tests. Use powerful trigger, search and analysis tools to zero in on EMI signals and correlated analog, digital and RF anomalies. The MDO4000 Series includes a logic analyzer, spectrum analyzer and protocol analyzer – all synchronized for an integrated view. This application note gives guidance on connecting information in test reports to a source of radiated emissions using a mixed domain oscilloscope. This application note provides an overview of measurement regulations and EMI pre-compliance procedures. Test setups for both radiated and conducted emissions are shown using the Tektronix RSA306B with EMCVu software.